product into the skin for a flawless finish. 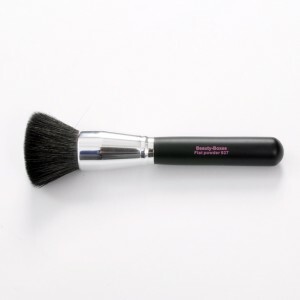 The brush itself is great quality, crafted from goat hair and although it is densely packed it is incredibly soft. I would compare the shape to my ELF Studio Flat Top Brush (£3.50) which I thought was super soft, but the Beauty Boxes version is far softer in comparison. I have washed the brush several times and it keeps its shape well and there has been no shredding what so ever – which in comparison MAC brushes are terrible for! So if you are looking for one brush that can apply foundation, apply cream blusher, powders, bronzer then this is the brush for you! A brilliant brush for travelling if you are trying to pack light rather than taking a selection of different brushes you can manage several jobs with this brush. I like what the lifestyle shows are offering. They made beauty boxes out of old or plastic boxes. It is art met with aesthetics.